She then used MRI images to guide the insertion of an electrode into the monkeys’ brains. 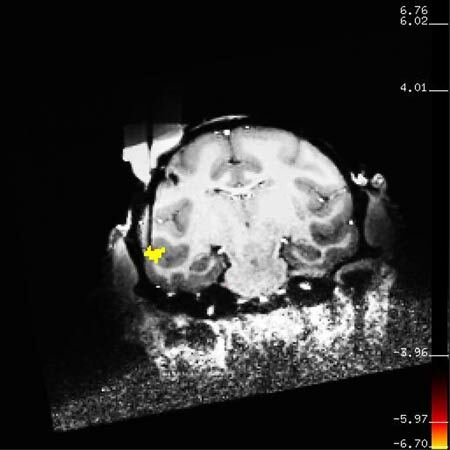 The target area, previously identified with fMRI, is highlighted in yellow, while the outline of the electrode can be seen in black. The electrode recorded the activity of individual neurons, allowing Tsao to figure out the specific facial characteristics, such as face shape or expression, that each cell responds to.